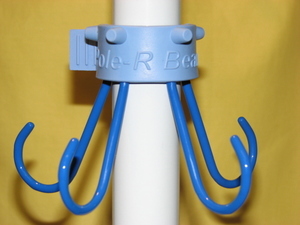 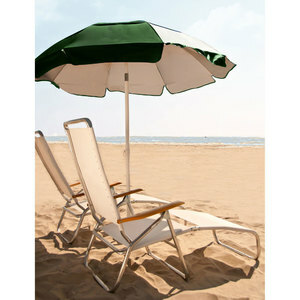 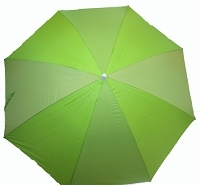 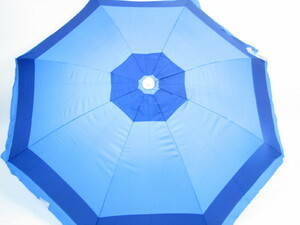 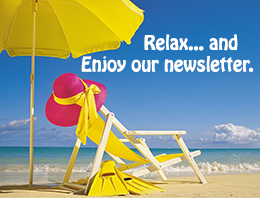 Beach umbrella designed with wood bottom pole for beach use with high strength fiberglass "Ribs" for support. 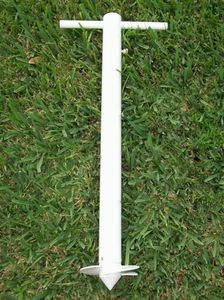 Unlike traditional metal ribs, the fiberglass ribs are strong and resilient - bending and flexing - to absorb the wind without breaking. 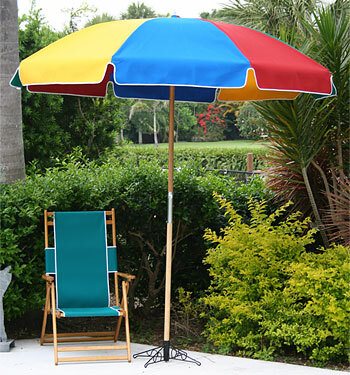 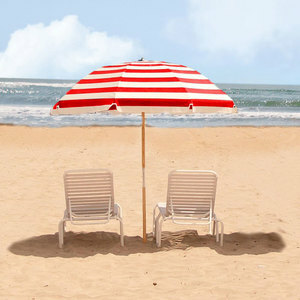 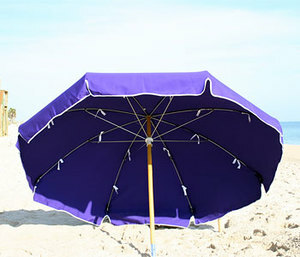 These beach umbrellas also feature resistance to rust and corrosion.